“I did not hear; I took part and am a witness, the federal government is planning to release condemned criminals from various prisons and when they release them, they would wear them Nigerian army uniform, arm and give them patrol van to disguise as Nigerian soldiers. The real Nigerian soldiers will be in casual wear and with Biafra insignia and attack the condemned criminals. They will position other soldiers to make sure that they get live coverage of the act with their phones which would later be uploaded on social media platforms” he continued". After giving the dog a bad name to kill it; there are still reservations against the man that gave the dog a bad name. The neighborhood and the world know the dog very closely and they have been monitoring the dog that when the bad name came for the dog, the neighborhood and the world refused to call or admit the name given to the dog. On the other hand; the man that gave the dog a bad name has been frustrated that he sought after justifying his action. Recall that few days ago; Nigerian military declared IPOB a terrorist organization few hours its genocidal operation python dance commenced. The military had stormed the home of the leader of Indigenous People of Biafra to murder him but met resistant youths. The youths had argued that the matter is in the court and army does not arrest but kill and so insisted that the mission of the invading soldiers was to murder their leader and are not from Nigeria. The youths picked up stones, bottles and sticks to defend their lives as they fearlessly took their bullets and at the end of the day, 22 youths died unjustly. For defending their lives and foiling the arrest of their leader, IPOB was declared a terrorist organization by the military. The declaration by the military was massively criticized on the basis that this is not a military regime and the presidency in response acceded to the declaration and further urged the president to sign an executive order which he did. The order was signed and AGF took further step by going to a high court which ruled that IPOB is a terrorist organization. Despite the process; the Nigerian leader and everybody that took part in designing IPOB a terrorist organization were faulted. The Nigerian Red Chamber had criticized the move and termed it illegal; disassociating itself on the grounds that the presidency did not follow the required process. The senate argued that such move must be communicated to the senate and in turn debated on the floor before being passed. Nigerian legal luminaries have questioned the sanity of those that declared peaceful IPOB a terrorist organization and refused to take the label. IPOB since inception has been non-violent and never secretly gone about their strategies towards Biafra restoration. They had always made their plans known on its radio station; making it clear that they would use civil disobedience to achieve Biafra. Civil disobedience followed a remarkable sit-at-home protest and impending election boycott. Peaceful protests and processions; direct vocal confrontations and more. IPOB has convinced the world and shown beyond reasonable doubt that they are peace loving people. Despite unprovoked killing and military clampdown; the people continued to embrace peace and that made them exceptional and accrued local and international sympathy. 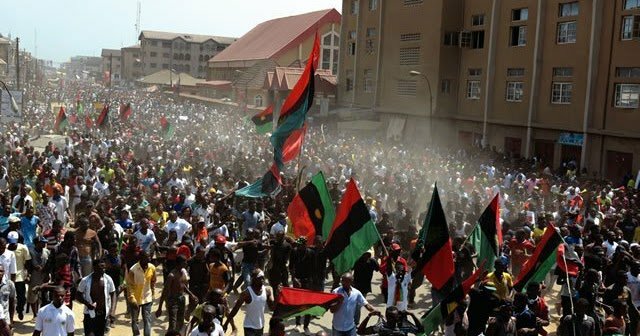 A report from a reliable source who spoke to The Biafra Post has disclosed a grand plan to frame up IPOB to convince the world to accept the need to label IPOB a terrorist organization. The plan which aims to achieve support and minimize the pressure on the federal government will most likely take place in any of the southeast states. Meanwhile, having disclosed this, further investigation by The Biafra Post shows the federal government has further unknown plans to blackmail and frame up IPOB to give credence to the terrorist label. 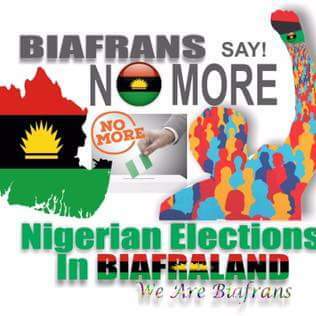 When The Biafra Post contacted sources within the various state governments, they denied knowing such plan.